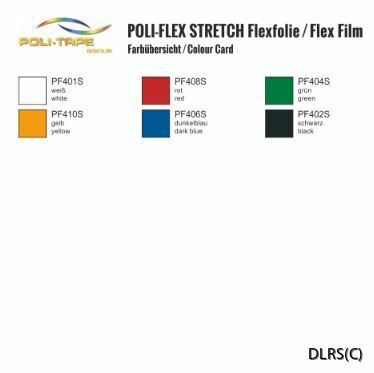 POLI-FLEX STRETCH is a soft and stretchy PU-film with a matt surface specially designed for garment lettering on elastic materials such as sport and leisure wear. POLI-FLEX STRETCH can be applied to cotton, polyester and their blends as well as polyester/acrylic fabrics and is free of PVC and plasticisers. The heat transfer film is 100 µ thick and can be cut with all good vinyl cutters such as the SummaCut range of vinyl cutters. The sticky liner is peeled when still warm.